Cool humid, mesothermal climate. Snow accumulation can limit plant. In California, occurs at elevations below 763 m; in northern British Columbia occurs below 200 m.
Locally, salal grows as an understory dominant in coastal coniferous forests commonly dominated by western hemlock, western redcedar, Port-Orford cedar, Sitka spruce, lodgepole pine, and Alaska cedar. Warm, moist to dry, montane to lowland conifer forests, sun or shade. Separate seeds after drying collected fruits. Seeds can be sown in the fall without stratification in outdoor nursery beds under shadecloth. 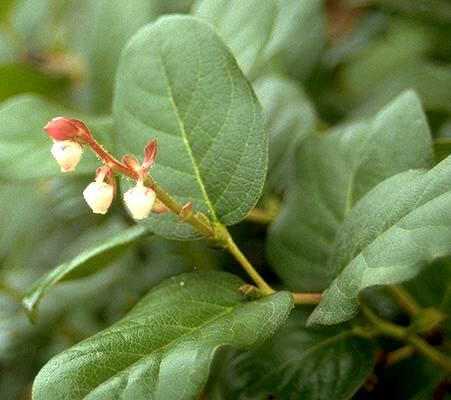 In the Northwest, salal is primarily propagated by rhizome cuttings. Prefers rich, acidic, moist soils, but will grow in shallow rocky soils, sandy soils, glacial till, and peat. Seedling survival under natural conditions is limited, therefore, growing from seed and planting containerized material is recommended. Layering and planting established divisions, sprouts, or cuttings are other options. 2’ to 3’ centers depending on final cover desired.